FRIENDLY SUPPORT appreciated by many users of our extensions. ONE Click install package for the plugin and you are ready to go! (Check if you have published plugin;) Find more informations in Guide. 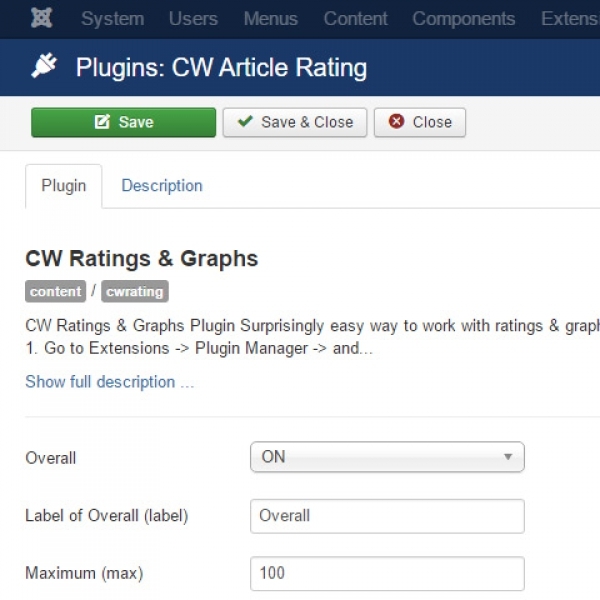 Plugin parameters CW Rating and Graphs plugin parameters settings. 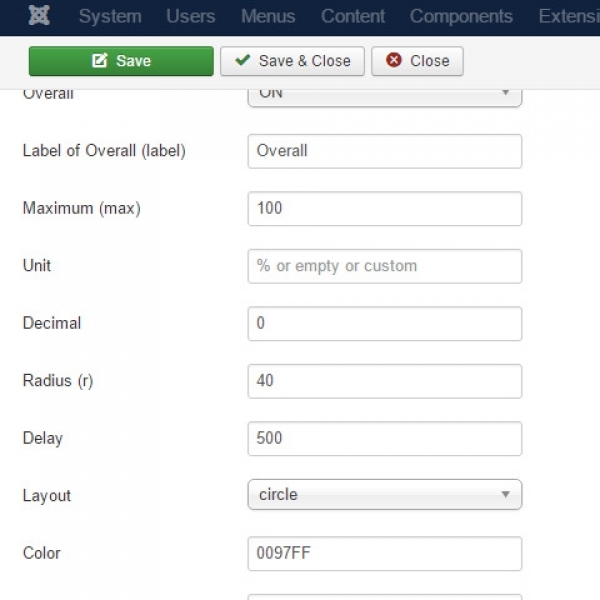 These can be used as default values which may be overriden within syntax in article content.